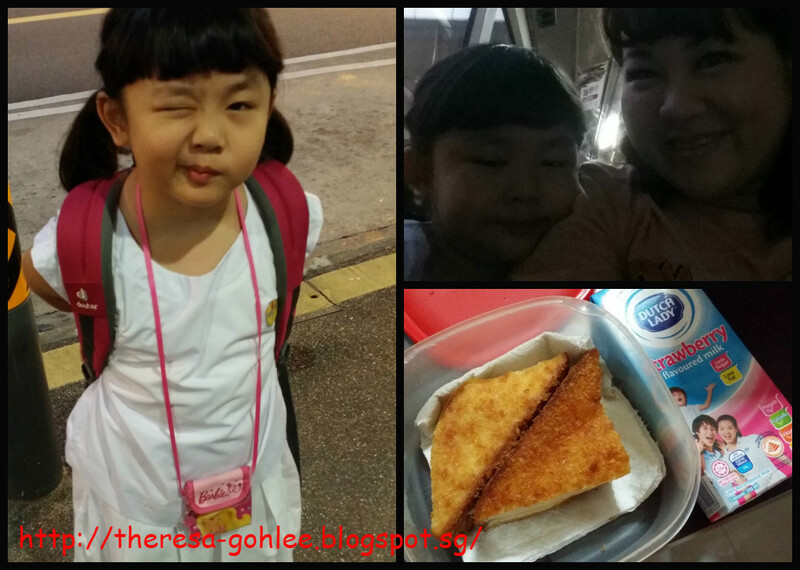 2nd day without Papa .... as usual we woke up at 6am sharp and again she requested to have cereal for breakfast. While she have breakfast I prepare some food for her recess. And we reached school at 7am! And I go back home and have some me time. 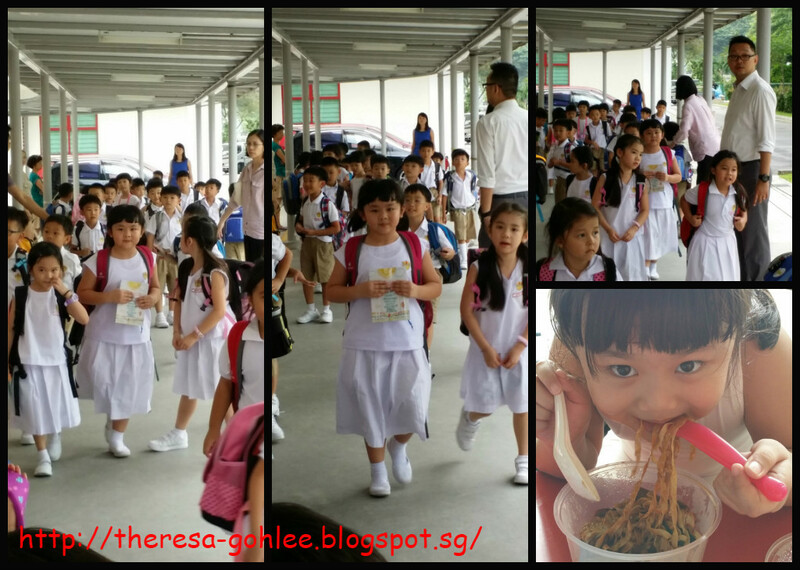 Since the class dismiss quite early I reached the school at 1245pm and true enough classes came down one by one .... and this gal requested she want to eat wanton noodle so we went over to hawker centre to buy lunch and headed home to rest. 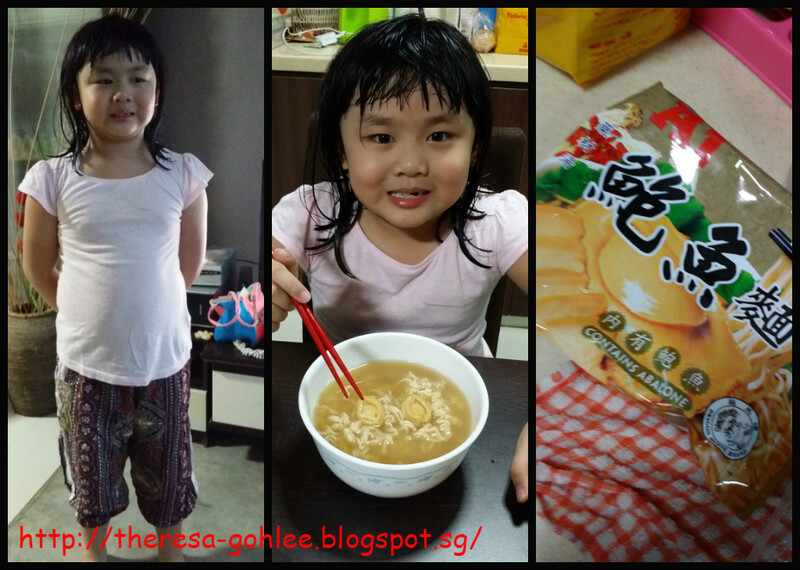 And in the evening my dear baby choose to eat A1 abalone noodle! She really can eat and choose good one ... I am afraid she might be scare of the herbs smell but I am wrong she love it and she finished everything all by herself including the 2 abalone!